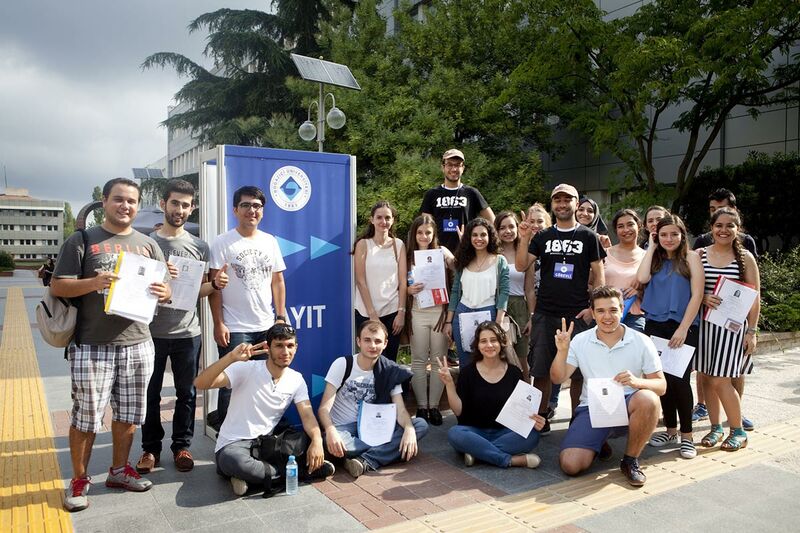 The results of the 2015 Undergraduate Placement Examination indicate that 1,891 students have been placed in Boğaziçi University. This number includes 103 of the total number of students who ranked in the top 100 in each score type, 215 of those in the top 250, 371 of the students ranking in the top 500, and 667 of those in the top 1000, as well as those in the quotas allotted to TUBITAK and top ranking graduating students in their high schools. Compared with the distribution of students ranking in the top 1000 in 2014, this year there has been an increase in the placement of students ranking in the top 1000, with the exception of those in the TM2 score type. Over the years there has been a continuous increase in the number of students in the top 1000 who choose to register at Boğaziçi University. In 2014, 623 students ranking in the top 1000 in all score types chose Boğaziçi University; this number has gone up to 667 this year. In brief, in 2015, 64% of the 1,891 incoming students are in the top 5000 ranking. According to the results of the 2015 LYS, BU ranks first among public and private universities in terms of base scores, with 23 of its 33 departments having the highest base scores. 48% of the students admitted to Boğaziçi University were placed in the department of their first choice, 20% in their second, and 12% in their third choice; in other words, the majority of students placed in Boğaziçi University have been placed in the department they indicated as their first choice. As for the distribution of students by cities, the highest number of students come from Istanbul (40%), followed by Izmir (6%) and Bursa (5%).